The International Climate Protection Fellowships enable prospective leaders to conduct a research-related project of their own choice during a one-year stay in Germany. Submit an application if you are a prospective leader from a non-European threshold or developing country working in the field of climate protection and resource conservation in academia, business or administration in your country. Applicants must provide a clearly visible leadership potential either by experience in a first leadership position or be able to provide appropriate references. They must also have completed their first university degree (Bachelor’s or equivalent academic degree) less than 12 years prior to the start of the fellowship (1 September 2012) with outstanding results. They must also hold a further academic or professional qualification (Master’s, PhD, LL.M., MBA etc.) or have extensive professional experience in a leadership role (at least 48 months at the time of application). Furthermore, they are expected to have gained initial practical experience through involvement in projects related to climate protection and resource conservation. The fellowship will enable the recipients to conduct a research-related project of their own choice with hosts in Germany whom they are free to choose themselves. The programme, which is being funded under the International Climate Initiative by the Federal Ministry for the Environment, Nature Conservation and Nuclear Safety, includes a preparatory intensive language course in Germany, a several-week introductory seminar, a two-week training course and a final meeting in Berlin. These activities will enable you to gain additional insights into academic, social, cultural, economic and political life in Germany. Applications must be completed online. The completed application form including all the additional documents required must be submitted online by the closing date (15 December 2011). Click on the tab “Application package” to find additional information on all the documentation required and be able to access the online application procedure. Confirmation that your documents have been received will be sent to you as soon as you have submitted them. It is the applicant’s responsibility to ensure that he or she has submitted all the necessary documents. Incomplete applications may be excluded from the selection procedure. 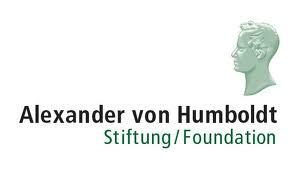 Your proposed host in Germany should send his/her confidential statement directly to the Alexander von Humboldt Foundation by the closing date at the latest. The applications will be reviewed and probably until Mid-March, an independent selection committee will select the candidates who will be invited to participate in a three-day selection meeting in Germany. This selection meeting is supposed to take place in the end of April, and applicants will then be given the opportunity to outline their project to the selection committee and the other applicants as well as to attend individual interviews held by the selection committee. At the end of the meeting the selection results will be announced. Demikian kami sampaikan tentang International Climate Protection Fellowships, Alexander von Humboldt Foundation, Germany semoga informasi tentang International Climate Protection Fellowships, Alexander von Humboldt Foundation, Germany ini bermanfaat.